Who doesn't love a little skin pick me up? I do! I feel like the quickest way to get that is with a good face mask. I've been sitting on an amazing little mask for several months now and finally had a chance to test it out. Check it out! 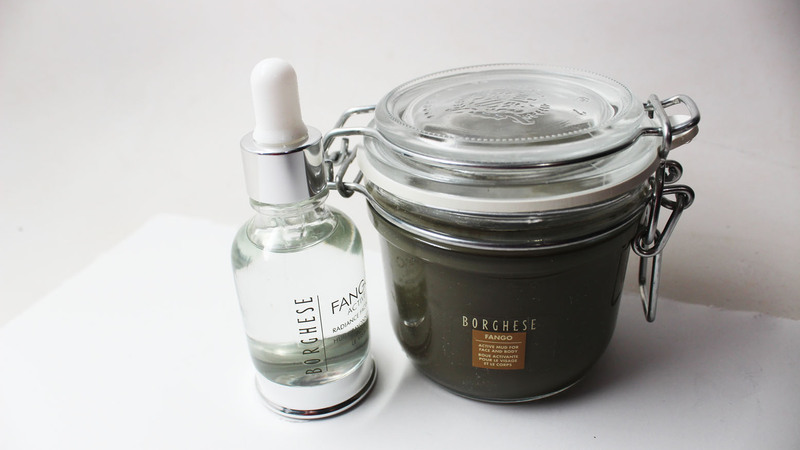 The Borghese Fango Active Duo is a skincare pair - you get a Mud based Face Mask which can be used for the face or body as well as a Facial Oil to help add good moisture back after your mud detox. 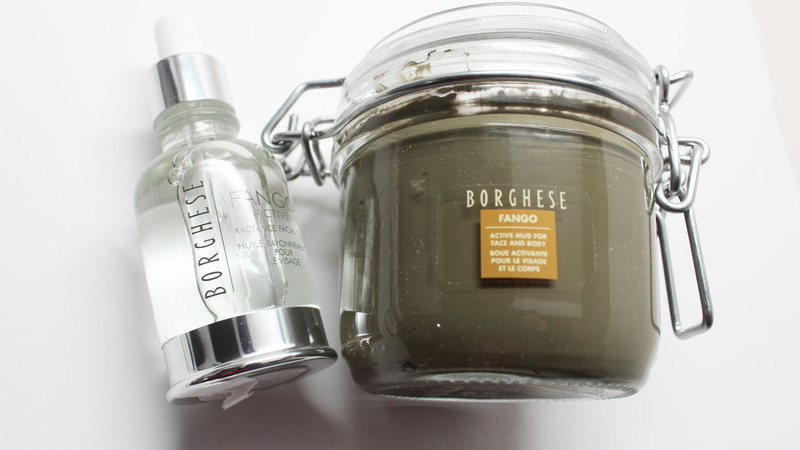 Detoxify with the Fango Active Mud for Face and Mody. 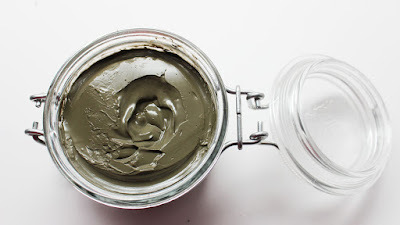 It's a mineral-rich mud that hydrates and firms, reducing fine lines and providing smooth and toned skin. A blend of botanical oils that transform skin's texture, soothes dull, dry skin. Helps nourish and restore lipid loss due to aging and environmental damage. I love a face mask that has the old school green mud tint to it. It makes me feel like those teenage girls I used to see getting ready in all those fun 90s sitcoms. As you can this mask is packaged in a very nice mason jar - tres chic and totally countertop ready. 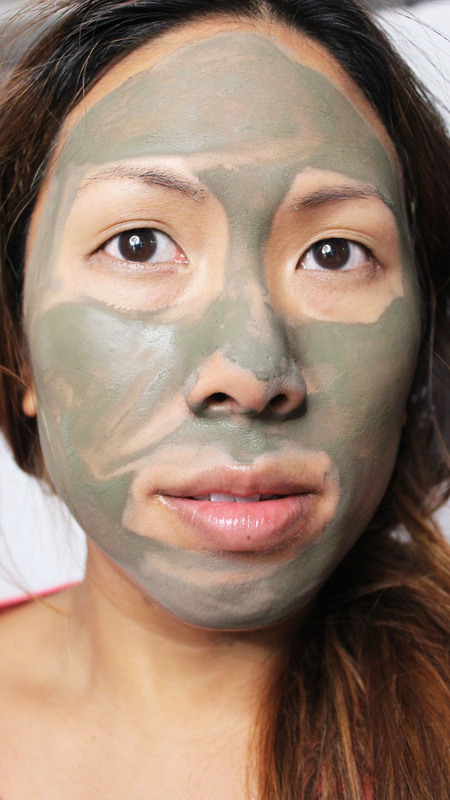 I evenly spread on the mask and it didn't take long to feel it drying out and detoxifying. After about 10-15 minutes I washed off the mask with a face cloth and warm water. Immediately my skin felt soft and brightened. I then applied a few drops of the facial oil. It's nice to have a moisture product to put on right after the mask. My skin feels nice and clean and soft, but since it's detoxed I need to make sure and put moisture back. I love the lightweight feel of this oil. It sinks right in. I do find though that I need to top with my regular moisturizer to give my dry skin enough nourishment.